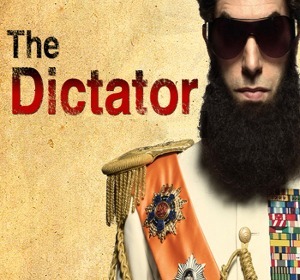 Released in may 2012 The Dictator shows heroic struggle of one of the last worlds dictators to keep his bellowed country he so lovingly oppressed out of Democracy(harms) way. Sacha Baron Cohen is good as ever, movie has few great gags, some scenes and dialogues went a bit further away from good taste than we are used to, but with creator this nuts who can say what is to be expected. Some of his lines are brilliant, like expaining to Americans how great it would be in States if they only had dictatorship. It all sounds a bit to familiar, a bit scary. The Dictator is movie worth watching especially in light of recent revolutions and removal of most worlds real dictators. So beware USA, country built by black man owned by china man, Haffaz Alladeen is coming. anonymous: "what is Sacha up to these days?" Solve this complex math: 1 + 8 = ?